Our product range includes a wide range of hastelloy nut, stainless steel bolt, stainless steel nut, stainless steel screws, stainless steel stud bolts and stainless steel plug. Oshwin overseas manufactures Hastelloy C276 alloy bolts, studs, and nuts to your custom specifications, and we guarantee to meet your delivery schedule. At Oshwin overseas and Manufacturing .,. we strive to provide our customers with the most innovative products and quality materials in the industry. Hastelloy C276 Alloy is a nickel-molybdenum-chromium wrought alloy that is considered a "versatile corrosion resistant alloy." Hastelloy C276 alloy has excellent corrosion resistance to both oxidizing and reducing media and excellent resistance to localized corrosion attack. Hastelloy C276 alloy is very easy fabricated and doesn't require heat-treating after welding. The Hastelloy C276 alloy performs very well in many industrial applications, namely chemical processing. "Because of its versatility, Hastelloy C276 alloy can be used where 'upset' conditions are likely to occur or in multipurpose plants. Hastelloy C276 alloy has excellent resistance to a wide variety of chemical process environments, including strong oxidizers such as ferric and cupric chlorides, hot contaminated media (organic and inorganic), chlorine, formic and acetic acids, acetic anhydride, and seawater and brine solutions." Additionally, Hastelloy C276 alloy is very resistant to pitting and stress-corrosion cracking. We Also Undertake Small Quantaty Export Order For Any Products. Packaging Details: Cartoon packing,Wooden packing,Bundle packing Or as per customer requirement. 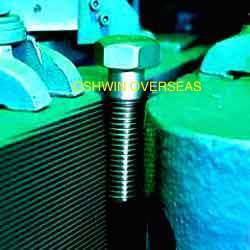 Oshwin overseas has taken Position for export of any items in view of its direct access with the source market and expertise to provide quality as per buyer specifications. Used as fasteners, the screws offered by us are available in the size of M12 to M150 and 1/2" to 6". Available in the specifications of IS (GR.8.8, 10.9, 12.9), ASTM A193 (GR.B7) BS (GR. R, S, T) and ASTM A320, our offered screws can be customized as per the requirements of our clients. 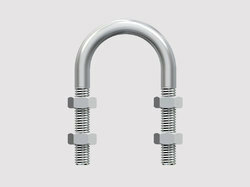 Stainless Steel stud bolts available in standard and custom lengths. Stainless Steel with excellent tensile strength characteristics for extreme temperature and corrosive applications. Excellent Corrosion Resistance. We are able to manufacture, export and supply a comprehensive assortment of Stainless Steel Plug. Being suitable for joining two pipes and allowing detachment without any deformation to pipes, the offered component provides positive sealing and easy assembly support. Provided component is manufactured with high precision byutilizing excellent quality stainless steel with the aid of latest tools and technology as per international industry standards. U Bolts are used heavily in building and construction. The u, or bent, shape of the bolt keeps it firmly in place, adding security and stability to the join. U bolts are used as framing fasteners and anchors for foundations and roofs, pipe and conduit holders and bolts for motor and engine shaft components.Our staff is committed to the highest customer service and will work with you to assist with the selection of the right product every time, with quick, on-time delivery. we offer high quality monel fasteners that finda application in assembly of automobiles, heavy-duty machines, generators, marine equipment, pipelines, etc. 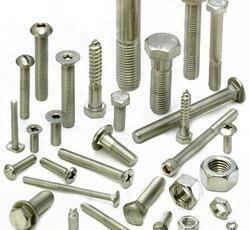 These fasteners are manufactured in accordance with national as well as international standards. Our range of fasteners are available in varying thickness of 0. 1 mm, 0. 2mm, etc. stud bolts, hex head bolts, socket hexagon head screw anchor bolts, u-bolts, j bolts, mushroom head square neck bolts , t- head bolts , wing screw , eye bolt , eye bolt, foundation bolts, structural bolts. plain washer , plain big & small od washer , spring lock washer , spring washer heavy duty , tooth washer , star washer , tab washer with one & two tab. hexagon nuts , hexagon coupling nuts , hexagon thin nut , square nut , hexagon castle nuts , self locking nut , hexagon domed cap nuts. pan head slotted screws , cheese head slotted screws , countersunk head slotted screws , countersunk raised head slotted screws , pan phillipse head screw , countersunk phillipse raised head screws , slottedcheese trim head machine screws , socket head allen cap screws , allen countersunk socket head cap screws , socket head shoulder screws , socket head cap screw low head , hexagon socket set screw with flat point , hexagon socket set scews with cone point , hexagon socket set screw with dog point , hexagon socket set screws with dog point , hexagon socket set screws with cup point , imprial socket cap screws . 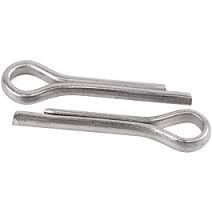 Cotter pins are half-round wires that are folded over themselves with a loop at one end, which creates a head. 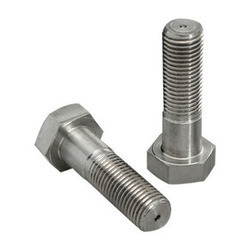 These pins anchor various assemblies by insertion through a drilled hole in a shaft or bolt and then spread the points to hold the assembly into position. Stainless Steel in Grade TP 304, 304H, 304L, 304LN, 316, 316H, 316L, 316LN, 316Ti, 309, 310, 317L, 321, 347, 202, 904L, Duplex Etc. Nickel Alloy in Hastelloy, Cupro Nickel, Nickel, Monel, Inconel, Alloy 20 etc. 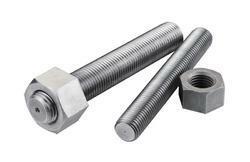 Hex bolts have hexagonal heads and machine threads for use with a nut or in a tapped hole. 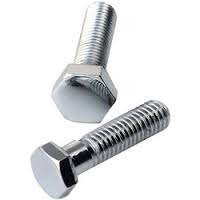 Also known as hex cap screws or machine bolts. 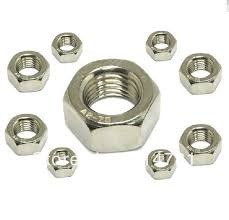 We offer one of the premium quality of Stainless Steel Nut in terms of strength and quality in the market to our esteemed customers. 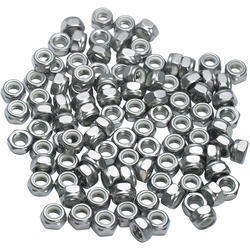 Our products are manufactured by our efficient engineers by using superior quality Stainless Steel Nut. Highly reliable components. 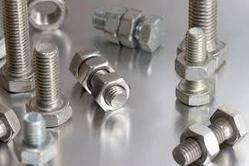 Stainless steel bolts & nuts are used to fight corrosion. 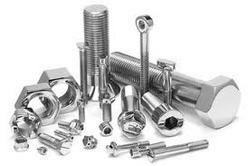 When looking for fasteners to fight the outdoor elements, especially water, stainless steel bolts & nuts should be your first choice. Stainless steel finish is determined by the amount of chromium present in the material. 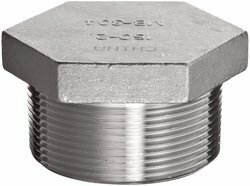 We manufacture quality Hexagonal Head Plugs forged from highest grade of stainless steel. These plugs are used to blank the flow line, preventing it dirt and foreign material. The precision threading allows easy connection to the pipe without causing any mar or damage. Our range of hexagonal head plugs can be availed in different dimensions at the most competitive prices. We are manufacturer of hexagonal head plugs, head plugs, brass head plug, steel head plugs, carbon steel head plugs, stainless steel head plugs and many more. Hex head bolts, hexagon head bolts, mushroom head square neck bolts , T- head bolts, wing bolts, eye bolts and lifting eye bolts. Pan head slotted screws, cheese head slotted screws, countersunk head slotted screws, countersunk raised head slotted screws, pan phillips head screws, countersunk phillips raised head screws, slotted cheese trim head machine screws, socket head allen cap screws, allen countersunk socket head cap screws, socket head shoulder screws, socket head cap screw low head, hexagon socket set screw with flat point, hexagon socket set screws with cone point, hexagon socket set screw with dog point, hexagon socket set screws with cup point, imperial socket cap screws. 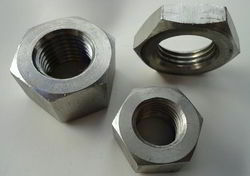 Hexagon nuts, hexagon coupling nuts, hexagon thin nuts, square nuts, hexagon castle nuts, self locking nuts, hexagon domed cap nuts. 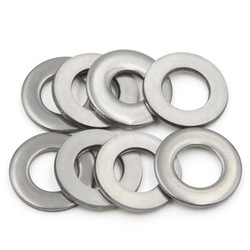 Plain washers, plain big OD washers, plain small OD washers, spring lock washers, heavy duty spring washers, tooth washers, serrated star washers, tab washers with one tab, tab washers with two tab. Hastelloy C276 Alloy is a nickel-molybdenum-chromium wrought alloy that is considered a “versatile corrosion resistant alloy.” Hastelloy C276 alloy has excellent corrosion resistance to both oxidizing and reducing media and excellent resistance to localized corrosion attack. Hastelloy C276 alloy is very easy fabricated and doesn’t require heat-treating after welding. The Hastelloy C276 alloy performs very well in many industrial applications, namely chemical processing. “Because of its versatility, Hastelloy C276 alloy can be used where ‘upset’ conditions are likely to occur or in multipurpose plants. Hastelloy C276 alloy has excellent resistance to a wide variety of chemical process environments, including strong oxidizers such as ferric and cupric chlorides, hot contaminated media (organic and inorganic), chlorine, formic and acetic acids, acetic anhydride, and seawater and brine solutions.” Additionally, Hastelloy C276 alloy is very resistant to pitting and stress-corrosion cracking. We are among the distinguished names in the industry, engaged in offering Alloy Steel Fasteners for our esteemed customers. 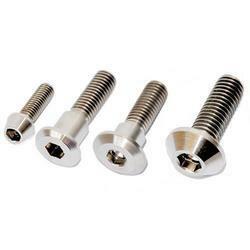 These fasteners are designed as per the established norms of the industry and are extremely easy to install. 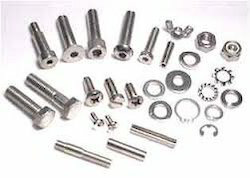 Being precise in terms of dimensions, these fasteners are highly appreciated by the customers. 4.6 , 5.6, 6.6, 8.8, 10.9 & 12.9 / 'R', 'S', 'T' Conditions. Bare Condition, Galvanized, Phosphatized, Cadmium Plated, Hot Deep Galvanized, Bloodied, Nickel Chrome Plated, etc. Copper, Brass, Aluminium, Titanium, Nichrome, Al.Bronze Phosphorous Bronze, etc. 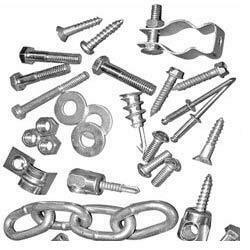 Bolts, Nuts, Washers, Anchor Fasteners, Stud Bolts, Eye Bolt, Stud, Threaded Rod, Cotter Pin, Socket Screw, Fine Fasteners & Spares, Foundation Fasteners, etc. 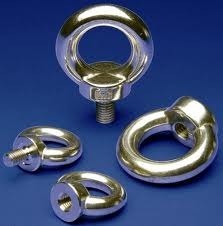 We provides stainless steel eye bolts. Eye bolt hardware is extremely versatile. There are many types of eye bolts that come in a variety of sizes and materials, some of the most common include forged eye bolts, screw eye bolts, shoulder eye bolts, lag eye screw and U-bolts. Each type has many practical applications in a variety of industries. Always inspect a threaded eye bolt prior to use and make sure the threads and receiving holes are clean.